Spring time in Central Park always feels so ladylike to me. From the pastel colored blossoms to the beautifully colored flowers, the park simply transforms into an oasis of feminine beauty. Kristie had a specific vision for her maternity session as she and her husband, Darren, are expecting twin girls later this year. She wanted the session to feel warm and loving & she wanted the pink and green beauty of the park to be their backdrop. Kristie looked radiant in her cream colored lace Asos dress which she paired with her pink Valentino heels. She also brought along pink macarons with two peas in a pod decorated on them. As a fun sidenote, Kristie owns a cookie business called Peapods and she sells exclusively on Etsy. Check her stuff out if you have the time! Kristie and Darren are both so sweet and I could tell that they will make incredible parents. I had a wonderful time capturing this special milestone in both of their lives and I look forward to meeting their baby girls when the time comes! Awww, so pretty. Love her outfits! 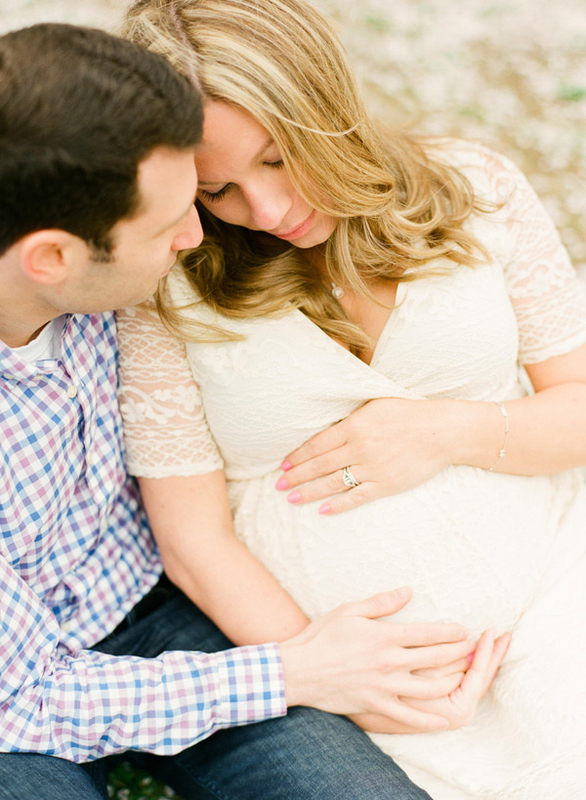 what a gorgeous maternity session. such a sweet couple!! Holy gorgeousness! I absolutely LOVE this session! So jealous of this spot. The short time the blossoms are in bloom, paired with the short time waiting for baby. It’s perfect. These are beautiful!! I love the spring blooms and the setting is magical. Gorgeous momma-to-be!